Ghee is actually a type of clarified butter that originated in ancient India and is commonly used in South Asian, Iranian and Arabic cuisines, religious rituals and traditional medicines. The word Ghee actually comes from Sanskrit word which means “sprinkled” and it basically means that the milk fat is rendered from the butter to separate the milk solids and water. Ghee is more concentrated in fat than butter because its water and milk solids been removed. Normally it is made by melting butter and skimming the fat off of the top. You’ll be left with a yellow liquid when it’s hot and a creamy looking solid one when the ghee cools down. It has been used in Indian and Pakistani cultures for thousands of years. Although it originated in India, ghee is quite popular in dozens of countries, mainly in Asia, certain parts of Africa, and throughout the entire Indian subcontinent. Ghee has a rather distinctive and flavorful taste and aroma that is different from butter, but it can be used in almost all of the same ways. The texture, color, and taste of ghee depend on the quality of the butter, source of the milk used in the process and the duration of the boiling. Now, butter can be very dangerous for people due to the high concentration of fat, and ghee is no exception; in fact, ghee is pure fat, so only small amounts are needed, or else it can have negative effects on your health. If eaten in moderation, ghee can provide your body with higher concentrations of other essential nutrients that aren’t available in butter. Ghee is used mainly in Indian Cooking and in Ayurvedic Practices. Recently, however, ghee has become quite popular in high-fat diets as the fats in ghee have been recognized for their healthy qualities. Research done on both human and animals concluded that consuming ghee may lead to favorable changes in some heart health markers. In an animal research ghee was found to increase HDL (“good”) cholesterol and reduce the formation of fatty deposits in the arteries. On the other hand, it also increased fasting blood sugar levels. Furthermore, in a controlled study of 206 healthy adults, ghee was the fat source responsible for the greatest increase in ApoA, a protein in HDL particles that’s linked to a reduced risk of heart disease. Fat-soluble vitamins, K2 which is found in ghee is essential for the body to help utilize minerals, including calcium. In fact, research show that Vitamin K builds bones better than calcium. Proper levels of Vitamin K2 help to protect against tooth decay, supports proper growth and development of bones, and protects against the calcification of the arteries, also known as atherosclerosis. Thyroid dysfunction is a very common disorder among middle-aged women. It can lead to hormonal disturbance in the body along with reproductive problems. Clarified butter or ghee consists of no milk solids, and this dairy product is quite beneficial for those suffering from this unfortunate condition. The gastrointestinal tracts and the immune system, which are both compromised by an abnormal thyroid gland, are protected by ghee. Apart from that, thyroxin hormone is also regulated by chemicals present in ghee. Several researches comparing ghee to soybean oil suggests that ghee may reduce the risk of certain cancers, including breast cancer. In one research, rats fed 10% of calories from ghee for 44 weeks had lower levels of several breast cancer markers than rats fed 10% of calories from soybean oil. Ghee is a wonderful remedy for those who suffer from constipation. In ancient India, as directed by Ayurveda, ghee enemas were in vogue. However, you need not adopt such an intrusive measure to relieve yourself of constipation. Apart from increased intake of fiber, pregnant women are often recommended to take a glass of milk every night with a teaspoon of ghee. This can ease up constipation and also boost metabolism. Ghee is said to have a positive impact on our brains’ neurotransmitters, which in turn make us happier. Organic butter and ghee on some crackers will cheer you up not only because of its taste, but also because of its chemical composition that affects the hormonal system of the body. Many people think that consumption of ghee increases cholesterol. But ghee is the healthier and better option than butter if you have low cholesterol. This is due to ghee helps in reducing cholesterol in our intestine and serum. So, people who are looking for the best source to get healthy fats, better go for ghee as it is made out of saturated fat. Ghee is one of the best natural home remedies for burns. It even helps in handling swelling caused by burns on different parts of the body. Apart from this it also does a lot for your skin. It decreases inflammation, dryness of skin and scalp etc. Thus, apply ghee on the affected areas and get relief soon from these problems. As mentioned above, the short-chain fatty acid butyrate helps support a healthy digestive tract. It works by encouraging the conversion of fiber into more butyric acid, which is vital for detoxifying as well as the removal of other fats and toxins. Moreover, ghee benefits include increasing gastric acid and aiding in efficient digestion. If you’re planning to conceive anytime soon, vitamin K2 is an important nutrient to include into your diet. According to the Weston A. Price Foundation, vitamin K2 plays an important role in facial and dental development. Children born to mothers with high levels of vitamin K2 are more likely to have wide, symmetrical faces with plenty of room for straight, healthy teeth later on. Grass-fed ghee is a great source of vitamin K2, making it an important food for pre-conception and pregnancy. This is an old home remedy, and is quite effective too. You can either eat a teaspoon of warm ghee directly or make an herbal concoction. Fry a small stick of cinnamon in ghee. Let it cool somewhat, and then remove the stick and swallow it. Ginger powder and cardamom fried in ghee can also benefit if you have mucus blocking your airway. Make a paste of Tulsi or holy basil and warmed ghee. Swallow it to have immediate relief. Are you deprived of scrumptious cheeses and yummy chocolate milk because you’re lactose intolerant? Trust me; you’re not missing out since there is something you can gobble down which is not only delish, but also as comforting as a warm glass of milk at night. Since ghee is made from the milk solids, the impurities have been removed, so research has proven that people who are lactose intolerant usually have absolutely no problems consuming ghee. There you have it a comfort food minus the lactose and gluten! However, be sure to consult with your physician before trying it. Helping the body avoid allergy issue is another of the benefits of ghee. Because ghee is dairy-free, which means it has the entire dairy residue simmered; people with lactose intolerance or impossibility to consume butter can be free to use the flavorful butter that is in the form of ghee. They will also not have to worry about any gastrointestinal problems which often follow. Improving the psychological health is another health benefit of ghee. It is very appropriate for people desiring intellect, intelligence, and memory. The clarified butter is combined with neem leaves and mustard, which is then used for fumigation to ward off evil forces. Ghee is also applied to the scalp to aid in calming the mind down. As mentioned previously, ghee is also used to treat fever. The intake of ghee helps to relieve burning sensation and then relieve from fever condition. However, you have to remember that ghee is just used for those who have completely cured fever and just use the remedy to regain the immunity and strength, not for people with present fever. Besides improving the skin health, ghee is quite beneficial to treat dark lips, mainly in the winter. You just have to massage your lips with ghee during the winter to protect your lips against chapping and prevent dark lips. When you have already suffered from dark lips, you should massage them with ghee as a pure homemade remedy that will then lighten dark lips very effectively. Ghee is quite beneficial to boost the hair growth. The reason is that it is very beneficial in treating split ends that often occur when people don’t nourish their hair enough. While chemical treatments with products available on the market can dry out the hair and cause split ends, using a homemade treatment with ghee is ideal for treating split ends. You just have to warm the clarified butter slightly then apply it to the hair ends, wait for 1 hour and finally shampoo and condition it again. Below are some tips for using ghee in our day to day actions. Add a pinch of turmeric powder (Haldi), a tsp of cow’s ghee and a little sugar to a cup of hot milk and drink. It helps in getting rid of a sore throat, cold or a cough. Make children drink a little fresh buttermilk mixed with a pinch of Hing (Asafoetida) fried in a little of it to relieve them from worm infestation. Mix one tsp of roasted pepper powder in 4 tsp of clarified butter and add a pinch of salt and sauté in a pan over a low fire. Fry it properly and mix with rice, then eat. It relieves indigestion and gastric problems. A little ghee mixed with honey and pepper powder, taken a few times is useful for a cough and cold. Drinking half a tsp of cow’s ghee in a cup of cumin decoration with will relieve pain in the lower abdomen, heartburn and gas trouble. If you take a tablespoon of it every night, after taking a few sips of hot water, helps regulate bowel movements and improves digestion. Over time, it helps cut down body fat. It can also decrease the inflammation when rubbed externally onto the skin. To improve the health of the teeth and gums; use it for gargle. This can be used in the eyes for tiredness or fatigue. It is excellent for scrapes and both chemical and heat or fire burns. If a few drops of it are placed in the nostrils, then nosebleed can be checked. Doing this twice in a day can relieve from a headache. One or two teaspoons first thing in the morning, immediately followed by hot water will promptly produce a bowel movement. This will also warm the body quickly. Two spoonful of it in warm milk before bedtime is calming to the nerves and lubricates the intestines and accelerates a bowel movement in the morning. When a person has long-lasting gastritis or peptic ulcer, it is used to heal that ulcer inside the intestinal tract. This works wonderfully on bedsores for the elderly or debilitated. It can be applied to bruises and broken bones. It is greatly effective for all sorts of skin rashes and also burns of both fire and chemicals. It is used as message oil for old and young. It is considered as one of the best substances for self-massage. It strengthens, softens. Nourishes and protects the skin. Ayurveda considers pure un-adulterated ghee to be sāttvik or sattva-guṇi, when used as food. It is the main ingredient in some of the Ayurvedic medicines, and is included under catuh mahā sneha along with sesame oil, muscle fat, and bone marrow. Ghee is used specially for diseases caused by Pitta Dosha. Ghee is also used in Ayurvedas for constipation and ulcers. During summers when you are very thirsty it is very helpful and useful in curing the thirst. Take 1 tsp of clarified butter and mix it with cow’s milk. Take this and this will cure your thirst. It relieves constipation. Take a glass of milk with 1 tsp of ghee in it. Drink this before bed at night. This will help in clearing your bowels in the morning. Thus, relieving you from constipation. Put 1-2 drops of it in your nostrils and this will stop the blood oozing from your nostrils (Epistaxis). When you are under the influence of bhang or alcohol. Taking a small amount of clarified butter will reduce the alcoholic effects. It is also very helpful when you suffer from common cold. Take equal quantities of ginger powder, ghee, and jiggly and mix them together. Take this in the morning before food. This will help to cure a cold. Mixture of ginger powder, ghee, and jaggery when taken after food cures any indigestion and also increases the metabolism. You can make small balls from this mixture and consume it after food. If you feel weak all the time then also this is very helpful. Add 1 tsp. of it with a little amount of ginger powder to a glass of milk. Now warm the milk and drink it regularly. Fry a small stick of cinnamon in ghee. Let it cool slightly, and then remove the stick and swallow it. Apart from health benefits, ghee is also known to provide a lot of beauty benefits. Regularly apply ghee under both the eyes before sleeping. This should be only homemade (made from cow milk or Buffalo milk). It helps reducing dark circles. Women in India have also traditionally used it as a facial moisturizer for dry skin. It is also used on the scalp to fight dry skin and enhance the growth of robust and thick hair. It has a property to slow the aging process in a very sure and steady way by balancing the living one. It can be used as the bath oil. Take two tablespoons of this and mix with several drops of an essential oil of your choice. This can also be used as an exquisite facial moisturizer. Always consider clarified butter oil before making any recipe and how it can enhance its taste. Always use a clean spoon whenever you take this out from the jar to ensure that it stays good for a long time. Store your ghee in a tightly closed container and a dark place. Melt it first and then adds spices and other ingredients. It will enhance the aroma and taste of the spices. It is always healthier to sauté your spices, first seeds and then your ground spices. Aromatic and robust properties of the seeds and spices are released at this point. Simply mix it with fresh lemon zest, minced garlic and dill, followed by baking or broiling will add to the taste of your dish. Your vegetables can be tossed with ghee with a small amount of lemon zest to enhance its flavor. If you are adding any spice or herb to your recipe, just remember to sauté your seed spices first to release the aroma, and then add ground spices, onions, garlic, etc. Sauté your veggies in a Tsp (per person) of it till they are softened. Then add a very small amount along with unrefined salt and freshly ground pepper right before serving. Roast veggies tossed in it along with herbs and garlic at 425 – 450 F. It has a high smoking point and will not burn. To evenly roast veggies toss them frequently. Tossing hot drained pasta with a Tsp of clarified butter instead of olive oil will do wonders. Add unrefined salt, freshly ground pepper with your choice of favorite fresh herbs and grated Parmesan cheese. It is a perfect companion for baked potatoes. Adding cinnamon and nutmeg to sweet potato or yam to make it delicious and healthy. Simply stir ghee into a bowl of soup or hot cereal before serving. Ghee combined with grilled cheese is the best combination. Before building your soup sauté onions, celery, carrot, peppers in ghee for the soup base. Add 1 Tsp of ghee along with your milk, add cayenne, cinnamon, and cardamom to taste – it will give you superb hot chocolate. For awesome popcorn – pop your corn in 2 Tbsp of melted ghee and also add ghee and salt to the finished popcorn. We all love pancakes, waffles, French toast. It is a perfect companion with them, plus adding honey will turn them into a blessing. Before serving rice, add a tsp of ghee per person to it before serving. It is perfect for crackers or toast. Warm milk with a tsp of ghee before bed is good for health. You can make it tasty as well by add cinnamon or cardamom. Finely chopped apples or pears in Ghee with a little vanilla and cinnamon are a delicious combination. You can also drizzle maple syrup or raw honey on it before serving alone or with ice cream/yogurt. Sauté fresh asparagus spears in ghee with unrefined salt, lemon juice, and sesame seeds. All over India and Pakistan, rice is sometimes traditionally prepared or served with ghee (including biryani). Ghee is eaten with baati in Rajasthan. All over north India, people sometimes dab roti with ghee. Ghee is served with khichdi, which is an evening meal (or dinner) of rice with lentils cooked in curry made from yogurt, cumin seeds, curry leaves, ghee, corn flour, turmeric, garlic, and salt in Bengal and Gujarat. Ghee is also used to prepare kadhi and used in Indian sweets such as Mysore pak, and different varieties of halva and laddu. Pakistani cuisine and Punjabi cuisine prepared in restaurants uses large amounts of ghee. Naan and roti are occasionally brushed with ghee, either during preparation or while serving. Ghee is an important part of Punjabi cuisine and traditionally, the parathas, daals, and curries in Punjab often use ghee instead of oil, to make them rich in taste. Different types of ghees are used in different types of cooking recipes; for example, ghee made from cow’s milk is traditionally served with rice or roti or just a generous sprinkle over the top of a curry or daal (lentils), but for cooking purposes, ghee made from buffalo’s milk is used generally. Use it instead of regular butter for sautéing. Because it has a high-smoke point—485 degrees Fahrenheit—it won’t burn easily. Add it to dairy-free recipes. The milk solids are removed from ghee during the clarification process so most people that are lactose intolerant won’t have issues with ghee. Drizzle it over popcorn, pancakes, waffles, fish, poultry, and vegetables. Stir it into rice, quinoa, buckwheat, couscous, oatmeal, or millet. Massage it into skin instead of lotion or massage oils to keep your skin and joints supple. Moisturize your lips with it instead of lip balm. Rub ghee into your cuticles to help keep your nails healthy. Ghee can be used in the eyes for tiredness or fatigue. Ghee was and is still used for lighting lamps during spiritual practices because of its pure state. Ghee works effectively in relieving cracked lips, cuticles and more. Immediately slather ghee onto a skin burn when in the kitchen. Newborns in India are massaged with pure oils such as almond, sesame and ghee. It is customary in some Indian cultures to give a newborn a tiny taste of dates mixed with a little ghee! It makes your skin glow; ghee locks moisture in your skin, and thus it protects your skin from getting dry. Cures chapped lips by providing your lips with the fatty acids needed to lock in moisture, thus preventing your lips from dryness. Moisturizes your skin, whether it is your face, arms or legs, you can apply ghee and massage gently, leave it on for around half an hour then take your shower. Ghee will leave your skin soft and supple. Hair treatment for coarse dry hair including split ends. You need to warm ghee and apply it to the end of your hair, wait for an hour before shampooing your hair. If you have dry skin during winter, ghee could be one good solution for your skin, just like coconut oil and shea butter, the good fatty acids can cure your dry skin. When you burn lamps using it, it eliminates the viruses and bacteria in the house and makes your house disease free. When you get hiccups, you tend to lose breathe but a teaspoon of warm ghee specially made from cow’s milk if taken cures it. If you face any kind of ear related problems then take some ghee and cook it on low flame. 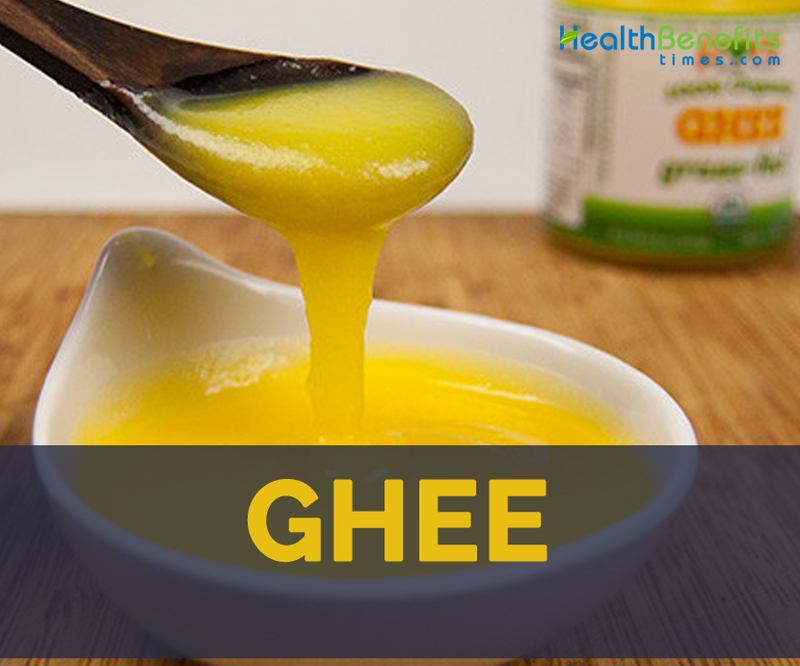 Pour 2-3 drops of this warm ghee in your ears regularly. It is a very effective remedy for sleeplessness or insomnia. Take some Ghee and massage it on the feet. Do this before going to bed every day. This will help to promote a sound sleep. It helps in reducing any inflammation or swelling, redness, and itchiness on a skin and also helps to slow down your aging process. Massage little amount of warm ghee on the affected joints. This will reduce the pain and swelling. Clarified butter serves as the best moisturizer for skin in winters. It can be applied externally on the whole body. A snake bite sounds dreadful but ghee can help you. Give around 120-220 gms of pure ghee to the victim. Give it to an extent that he vomits out the entire thing along with the poison. If you are worried about your lean body and underweight situation then it is beneficial if you include it regularly in your diet. To regain the strength and immunity after fever, ghee butter is favorable. It helps to bring back the power after your body is cured of illnesses. Take a small quantity of it and add it to diet. It is always recommended to lactating women to add nourishment to the breast milk. Even newborns are recommended for small quantities of ghee nearly 2-3 drops. This will relieve the baby from any stomach related problems. When you suffer from oral ulcers and cannot bear its burning sensation then cure it using ghee. Apply a moderate quantity of ghee on the ulcer. This will help to reduce the burning sensation and also heal ulcer fast. Apply it on the cracked heels. This will moisturize the area and also heal the feet faster. It has also proved beneficial for eye. 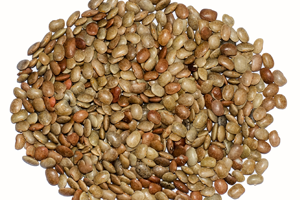 It is helpful in curing any eye disorders and also improving the vision. Put 2-3 drops of lukewarm clarified butter oil into both the eyes preferably at bedtime. This will avoid any burning sensation, and it also helps to strengthen the eyes. It helps to avoid any split ends. Apply it on the split end area and leave it like a hair mask and leave it for some hours. Then shampoo it. This will help nourish and moisturize your hair too. Taking a mild quantity of it every day relieves you of a headache and migraines. If you are facing any kind of mental disorders or stress then using it can solve the problem. Take some clarified butter and massage it gently on your forehead and scalp. Do this regularly. Shampoo if necessary. There are many people who face the problem of bedwetting. Take this and massage it on your abdomen in a clockwise manner for about 5-10 mins. Do this before going to bed. This will help to cure bedwetting problem. Many people experience night discharges. This can be solved very quickly. Take 3-4 corns of black pepper and then take 2 tsp of it. Taking this regularly will help you to cure night discharges. It serves as a useful measure to cure Sexual Weakness. All you have to do is take 1 or 2 tsp. of Ashwagandha Powder, 1 tsp. of Ghee, 1 cup of milk adds them together. You can also add sugar as per taste. Take some 5-10 Gms of onion and fry them in it. Take these fried onions at least 2 times a day to increase your sperm count. It is very useful in skin problems also. Take little this oil and massage the affected areas with it regularly. After 2-3 hrs. of massaging take a shower preferably use neem or sandalwood soap. It is rich in carotenoids and vitamin A and Intake of clarified butter increases or boosts the antioxidants in your body thus promoting cell growth, increasing immunity, improved vision and also reduces the risk of cancers and heart diseases. Place butter in the pot. Bring the butter to a boil, then reduce the heat to a slow, steady simmer. The butter will begin to produce foam. Don’t remove this foam. It will begin to be absorbed into the butter, and you will hear the crackling sound of moisture and liquid being evaporated. Let the butter simmer for up to 1 hour. Keep an eye on it and keep the flame on your stove as low as possible. The ghee is done when you see browned butterfat caramelized on the bottom of the pan and the top portion of the ghee is clear. Cool down slightly and strain the ghee through a piece of cheesecloth to remove all the caramelized and browned butterfat. You can also use the same recipe to make ghee in a slow cooker without having to worry about it burning. It works well and takes 6 hours on low heat. Place the ghee in jars and store. Ghee can be stored at room temperature for about one month or in the refrigerator for up to three months. If you are buying ghee from the market, check the clarity, pureness, good odor and transparency. Avoid buying ghee of bad smell, unclear or changing color. However, ghee can be made at home in some simple and easy steps. It can be stored in the jar, which is closed tightly. Do not close the jar when ghee is warm otherwise it will get moisturized and spoiled after some days. Keep the jar in the cool and dry place to store it safely for years. Do not store the ghee jar in the refrigerator as it makes fog inside the jar which spoils your ghee. What is Ghee Used for? Ghee is the ideal fat to use for deep-frying, as it has a high smoke point of 250°C (482°F). Try using ghee to make onion pakodas, a gluten-free fried treat. Traditional Indian cooking calls for toasting all spices before adding them to a dish for flavor. Toast your spices in ghee to infuse the cooking fat before making a soup, stew, or curry. Use ghee in place of butter as a spread on toast, on steamed vegetables, or on steak. Ghee contains a lot more flavor than regular butter, so use sparingly. The trend of adding butter to coffee works just as well with nutty ghee; try this bulletproof coffee for amazing health benefits starting first thing in the morning. Ayurvedic medicine calls for using ghee for skincare; first, the ghee must be carefully washed 100 times to purify it; it can then be used as a fantastic moisturizer that also reduces the appearance of scars. Ghee’s natural vitamin content makes it a great cure for chapped or dry lips. Apply a few drops before going to bed, and wake up with super soft, moisturized lips. Ghee is traditionally related with rejuvenation in Ayurvedic medicine, making it a great tool in Ayurvedic massage. It should be avoided by the people who are obese and overweight as it may add some more weight to the body and overload the functioning of the heart, liver and kidney. It should be avoided by the people already suffering from the heart disease as it greatly affects the heart and coronary artery and increases the risk of heart attack. It should also be avoided by the people suffering from the liver or digestive disorders like jaundice, indigestion or abdominal discomfort as it may lead to the major problems of the organs. It contains trans fatty acids which increases the cholesterol level and caused obesity, atherosclerosis, high blood pressure, stroke and heart failure among the heart diseased people. Healthy people may have ghee around 10 to 15 g a day to get necessary nutrients like vitamins A, D, E, and K, minerals, fatty acids, protein and etc. One tablespoon of ghee provides around 135 calories. Try to consume homemade ghee as it is free from the chemicals like preservative and vegetable fats. Be sure about your health conditions before including it to your diet or you must involve in daily physical exercises. Consult your doctor to get accurate dose of the ghee taken by you on daily basis according to your health status. Calories 112 Kcal. Calories from Fat 114.57 Kcal.